From bold political statements to outrageous price tags, there aren’t many designers better at playing the global fashion game than Georgia’s Demna Gvasalia. 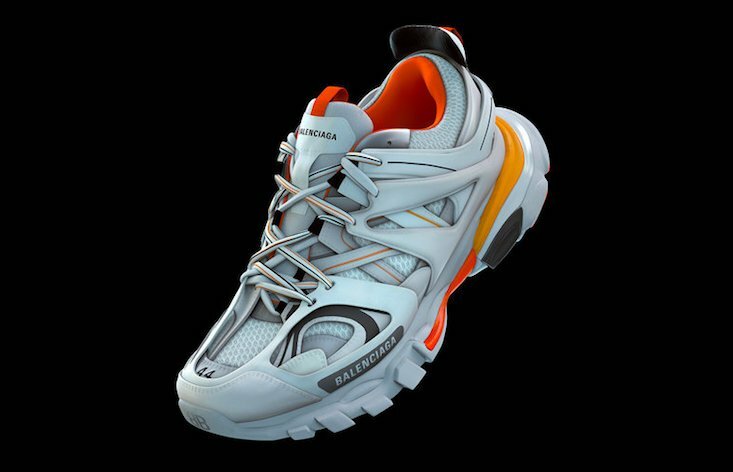 Now, Balenciaga, the Italian fashion house where Gvasalia has held the creative reins since 2015, is hyping up its latest sneaker release by forcing street wear devotees to book a special appointment just to purchase the prestigious shoe. Available in four different colours, the shoe — known as the Track — reportedly takes inspiration from rugged hiking boots and is part of the fashion industry’s ongoing love affair with ugly sneakers. The shoes are only available in the UK at London’s Selfridges Corner Shop, although shoppers who do make the trip will also be treated to artworks and an installation by artist Mark Jenkins. Booking an appointment however, doesn’t mean a discount. The Track will set you back an eye-watering £550, while, if you want matching socks, you’ll need an additional £85. Balenciaga’s Selfridges Corner Shop takeover will run from 3 September to 23 September.